The Grays from New Virginia and St. Charles, Iowa, traveled to Smithshire to visit Grandma Lam and the McLaughlins. Then, most importantantly, to introduce young Corbin to what reading "The Quill" means. 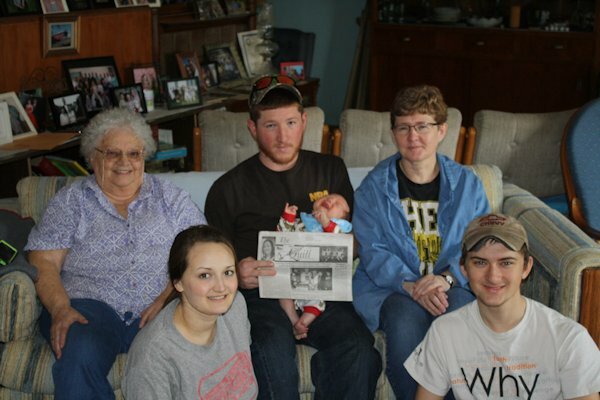 Pictured with the Quill is from left back, Great Grandma June Lam, Father Zachary Gray, 1 month old Corbin Jace Gray, and Grandma Sherrie Gray. Front row: Rachel Gray and Chas McLaughlin.